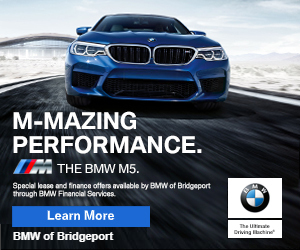 11:38pm–#Bridgeport CT #Stratford CT–First responders on the way to Bruce and Stratford Avenue for a car stuck under the railroad underpass. Its not know if it is stuck in water or just stuck. 11:22pm–#Shelton CT–Firefighters are on scene investigating an odor of electrical burning in the basement at 41 Leslie Street. 10:32pm–#Bridgeport CT–Police are investigating a assault that took place with a weapon 845 Wood Avenue. The suspect fled on foot down Wood Avenue towards Pacific Street. Detectives are now on scene. Man was transported to St. Vincent’s Hospital in very serious condition. 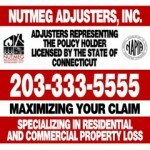 9:45pm–#Bridgeport CT–The Subway at 1700 Barnum Avenue was just robbed of $150.00. No weapon was displayed but one was implied. 9:37pm–#Milford CT–Firefighters on scene of a structure fire at 19 Oakland Avenue. The building is vacant, firefighters will be doing an exterior attack only due to compromised flooring on the first floor. 5:23pm–#Ansonia CT–Earlier first responders were dispatched to 51 Garden Street for a pedestrian struck. The was revised to be a child that fell out of a three story window near this address and is in serious condition. He has been transported to Yale New Haven Hospital. Prayers are needed please. 7:02pm–#Fairfield CT–Firefighters on the way to 396 Meadowbrook Road where a transformer exploded and there are primary electrical lines on fire. #Milford Police–Milford Police are looking for a white cherry picker/bucket style truck with Will’s Electric and Vermont Plates 198A954 for theft of Cablevision back up electrical power batteries from utility poles in town. If you see this truck call police right away.